What is the meaning of terms used in the translation industry? Home: Translation Services: What is the meaning of terms used in the translation industry? The translation industry can sometimes sweep new entrants off their feet with all the jargon used in the industry such as “translation company”, “translation agency”, “localization agency”, as well as “Language Services Provider” (LSP). Language Services Provider (LSP) is a term used for conference presentations as it basically goes beyond simply just translating, but it implies other services related to translation, such as oral and written translations. The term “translation agency” is more traditional and covers translation services and is usually interchangeable with “localization agency” or “translation company”. A translation agency generally offers translation services and provides management skills for clients. Interpreters and desktop publishers who are multilingual, website and software translation are all part of the services provided by a translation agency which can also be called a Localization Agency, Globalization Services Provider and Language Service Provider. 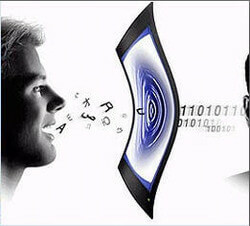 A translation agency provides professional translation services such as a NAATI translation in Australia. NAATI is the officially accredited accreditation authority for a translation agency that provides high quality translation services Australia. You may be wondering what the word “translation” really means. Quite simply, it means the communication of one language text into another language where the true meaning of the source text is maintained. This translation is undertaken by a single translator or if the text requires multiple translation skills a translation team. Copywriting, or put in another form, transcreation, performed by skilled transcreators copy write text into a target language, while a translator accurately translates the required content into the target language. Multilingual assignments that require persuasive or marketing text may require copywriting as in certain situations translated text may need to be rewritten so that the message is more persuasive, accurate and appropriate to the targeted culture. Localization as defined by the Localization Industry Standards Association is the taking of a product and ensuring it is culturally and linguistically appropriate to the target region or country where the product is to be marketed. Translation Memory is a very important translation product as it is memory technology that permits translation services in Australia to both store and reuse target language words and terms for all types of translation projects. Translation teams make use of tools for translation memory that create and maintain translation memories as well as multilingual glossaries.